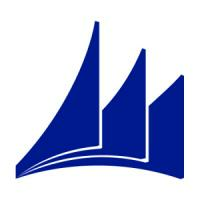 New way of streamlined and centralized deployment of the Microsoft Dynamics NAV Windows Client. Cost effectiveness, imaging time consumed to install or update application for more than 100 workstations across many regions. Zero end-user configurations, auto detects and updates the client without the user having to do anything. Not requiring administrative permissions to install. Co-deploying any partner created additional add-in assemblies. Side-by-side installations make it easy to run ClickOnce against different servers from the same computer. Quickly access to systems of customers for support, using windows search by CustomerID. Use interface of Manifest Generation and Editing Tool (v4.0.30319.1) to build NAV ClickOnce 8.0 (NAV 2015). Setup ClickOnce on Web Server, using same port with Web Client Service. Deploy 2 instances for Production and Test Systems (side-by-side installations). Enable directory browsing for public files. Force Windows Clients update automatically.